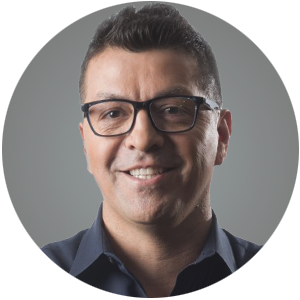 Daniel Ceniceros is the President and Founder of Connect Media. Daniel has 20 years of experience in commercial real estate technology, media, and events. His focus has been on creating technology-driven experiences for news delivery, data and analytics, and marketing for commercial real estate owners, developers, investors, and brokers. He has pioneered the way that commercial real estate executives consume information and networks with a strong focus on maximizing time for clients, readers and conference attendees. Daniel has an extensive network, and is known as a strategic thinker and advocate for his high-level client list. In his years of experience, Daniel has created some of the most successful conferences in the country and has a wealth of experience working with all sectors and property types in the industry. Daniel was named one of the 2017 Folio 100, a list of the 100 most influential players in media; by the News Funnel as one of their 2015 21 Tech Leaders to Watch, and by CapStak as one of the 35 Power Players in CRE Tech.